New history was written last night in Downtown Kitchener. We’re very excited to announce that the much anticipated Garment Street Condos SOLD OUT at our official launch event last night! We couldn’t have been more excited to represent Momentum Partnership as their exclusive listing brokerage on the project and congratulate all of our clients, friends and colleagues who secured a unit in this exciting new project. The level of demand we had for this project far exceeded the number of units available so for any of you who are interested in a unit in this project but were not able to secure a unit or attend last night’s event, we have set-up a waiting list for any units that come back available during the 10-day cooling period. Simply reply this email with your full name, email, telephone number and favourite suites (or type of suite) and we’ll ensure you’re on the list! You can learn more about the project and find all floor plans here on our website. Want to check it out in-person? No problem. Simply drop into our Kitchener or Waterloo stores for more details. 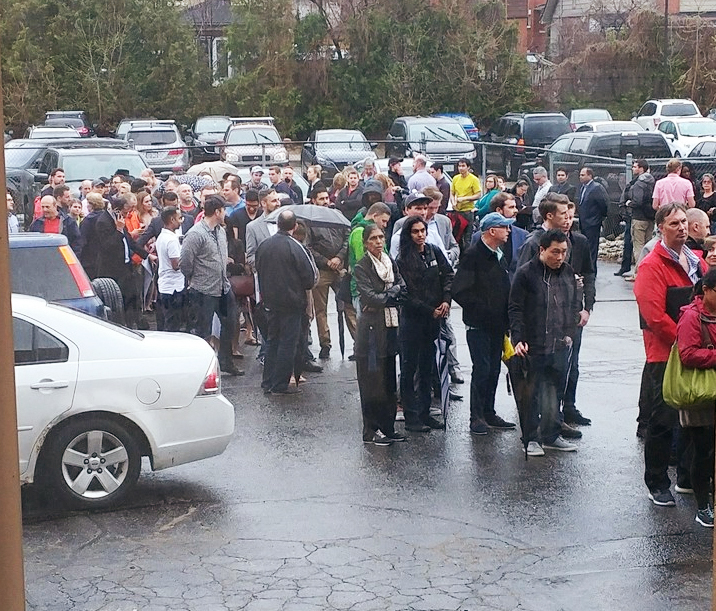 Max Wark from CTV News was at the event and interviewed our Co-Founder and Broker of Record Jeff Gibson, Momentum’s Founding Partner Brock Boehler and a few of those who had the patience to wait outside in the rainy weather for an opportunity to purchase in this awesome new project. 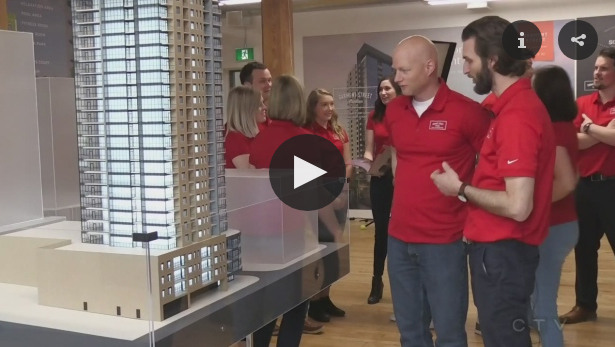 Check out the video below for a glimpse into the event as well as CTV’s 6:00 news story covering the appreciation and demand we’re experience across both the re-sale and pre-construction sides of the local condo market. A special thanks to all of you who came out to the event last night. For those of you are interested in receiving the latest updates and news on all upcoming local condominium projects, just a quick reminder to sign up for One List if you haven’t already. One List will ensure you never miss another condo launch! Those on the list receive updates on all of the areas newest condo developments along with first access and insider incentives at new projects like Garment Street. Signing up is quick and easy. All you have to do is click here to get started.